Today's lifehack presents a very interesting service available to you and I provided by the awesome folks from Carousell. The simple idea of a traditional buy-and-sell marketplace has been revolutionized to be accessible to the average man on the street, and did we mention - on the go. To explain Carousell... in a nutshell try to think eBay or Craigslist, except much simpler and much quicker. According to their tagline "Snap, list, sell. Create free listings to sell items you once loved in 30 seconds". When they say 30 seconds, they actually mean it. It is that simple. Sure, there are many such platforms dedicated to accessible online shopping and selling. 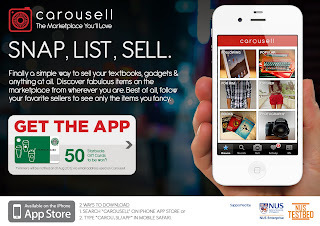 But we chose to mention Carousell in today's lifehack primarily to encourage our readers out there to embrace a "sell, sell, sell" mindset, which presents itself as the antithesis of a "buy, buy, buy" mentality. When keywords like "de-clutter", "simplicity", "less is more" have become guiding principles of a modern 21st century lifestyle, don’t you start to hate yourself a little when your already-tiny Singaporean apartment is made even smaller by an ever-growing pile of ‘things I don’t know where to put’? Yup, that’s the time, not to relocate, but to rethink your goods. Start tagging excess, unnecessary items for sale and you will soon realize how much you actually do not need. experience liberation from a society driven by consumerism. 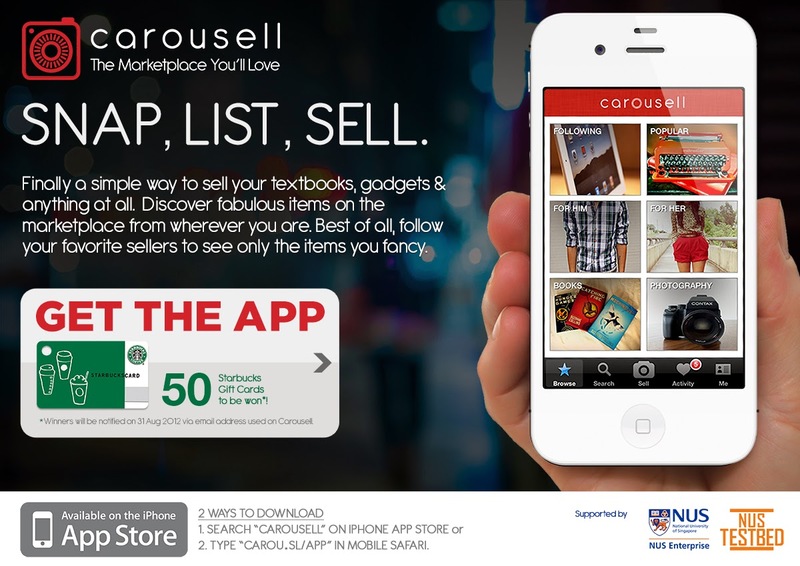 Carousell is one app that will help you de-clutter your life, and allow you to get some cash back at the same time. Today, the start-up announced a fresh injection of $800K funding which will help them expand their services to countries in the region. An interesting statistic to note is that on average Carousell users open the app 10 times and spend (cumulatively) 25 minutes on it daily, compared to 14 times and 30 minutes respectively for Facebook! Very impressive indeed. Accolades aside, the Carousell app is great because it embraces simplicity and allows you to put out pre-loved items into a thriving marketplace within 30 seconds. At lifehacksg, we have been using the app for 2 months now, and have successfully gotten rid of more than $1000 worth of pre-loved items ranging from clothes to electronics.